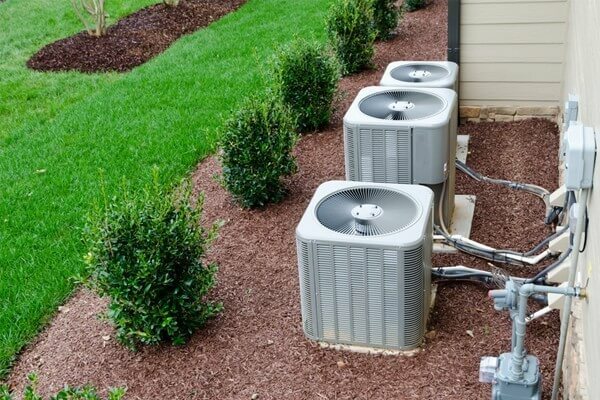 Air Conditioning Systems & Service in Boston, MA | Cooling Unlimited, Inc.
Having a quality air conditioning system to get you through the summer is important, and choosing an excellent contractor to install or service it for you ensures that it runs at peak performance levels all throughout the warmer days. When you get your new air conditioning system from the certified technicians at Cooling Unlimited, Inc., you can expect it to run properly and last you for years to come. And if you schedule maintenance or any repairs with our team as well, you will notice results. We want to help you stay comfortable year round, so call our friendly technicians for air conditioning installation, replacement, maintenance, and repairs in Boston, MA. 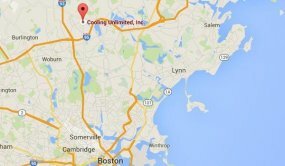 Cooling Unlimited, Inc. provides air conditioning services near Boston, MA and the surrounding areas. If you are in the market for a new central air conditioner, the number of options available might surprise you. The standard central air conditioner comes in a wide range of sizes and efficiency ratings. And there are many newer options such as ductless air conditioners and heat pumps that come with additional features. If you are shopping around for a new central air unit, contact our team first. We will make sure you get a modern high–efficiency cooling system that matches your preferences and all of your home’s needs. If you notice any problems at all with your air conditioning system, you should call an expert right away. Central air units have many components that all work together to make the system run smoothly. When one part is in disarray, the others suffer as well, potentially overworking themselves in order to get your home cool (but doing a poor job of it). The following issues all deserve prompt attention from a NATE–certified AC service technician. If your AC system requires service or if you want to install a new whole–home system, call our professional technicians! We won’t try to sell you an AC system you don’t need; we will make sure you get the one that’s right for you. And our services are done correctly the first time around. Take a look at the cooling systems we service and install in Boston, MA. A ductless air conditioning system contains an outdoor unit, just like a conventional air conditioner, but the indoor portions are in various areas of the home rather than in a central location. This is a great solution for a home without any ducts or even for a single room or small space. Call and we can give you more information. Despite the name, a heat pump is primarily an air conditioning system, with the ability to efficiently heat a home as well. We recommend heat pumps to many of our customers looking to save some money on monthly energy costs. A high velocity split–system air conditioning system is an excellent option for homes in which installing conventional ductwork is difficult, and small ducts are required for central AC. Learn more about high velocity air conditioning by giving us a call, or schedule installation or service today. You may have heard of hot water heating systems, but did you know that hydronic systems could also be used to cool a home? A hydronic cooling system is an option in some homes, and it’s often the first choice for homeowners who do not want to install new ducts. No cooling system is complete without a thermostat, and we can help you find a control system that works for your home. Upgrade your older manual thermostat to a digital, programmable model, even if you’re not upgrading your AC, or choose a smart thermostat that you can control from your phone or tablet. Zone control systems give homeowners and family members greater control, allowing for even heating and cooling along with the ability to switch on the AC in one room without cooling the others. Larger homes and homes with architectural inconsistencies can especially benefit.